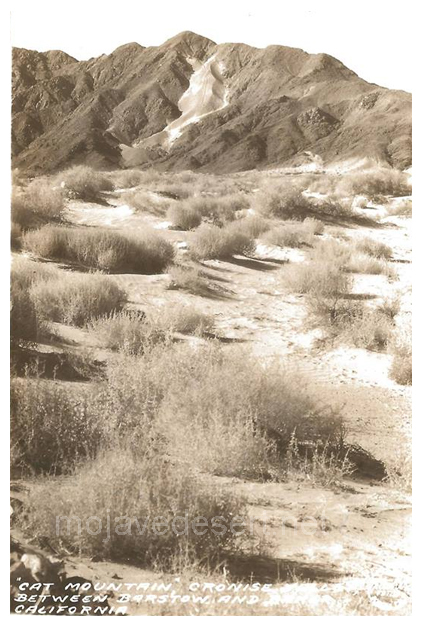 Sand-draped Cronese ("Cat") Mountain, in the Central and arid Mojave Desert, projects northeast in finger-like fashion to nearly join the northwest trending Soda Mountains, and to separate the adjacent Cronese Valley into east and west, but interconnecting, playas. Each playa contains a dry lake. The sand-filled Cronese Valley as a whole is an integrated part of the Mojave River system and has been since late Pleistocene (Tioga) time. Beach sand deposited during the high-water stand of the old Lake Cronese (Little Lake Mojave) is source material for the climbing and falling dunes. Prevailing westerly winds, at times reaching a velocity of about 100 mph, have driven available sand in the west Cronese playa upon the northwest slope of Cronese ("Cat") Mountain, over the ridge (locally as much as 900 feet above the playa), and down the southeast slope to form falling dunes. 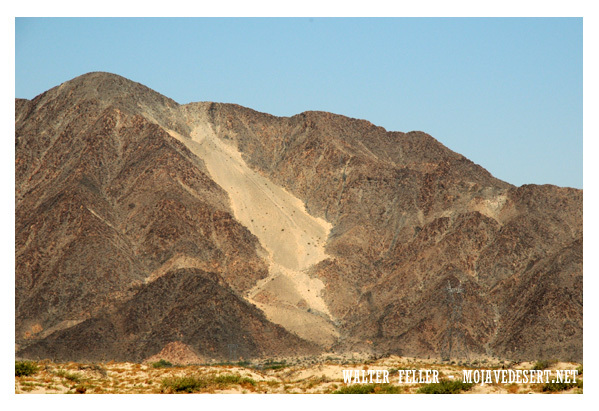 On both sides of the mountain, sand has shifted into talus cones and covers both bedrock and alluvial fan debris, but deposits are thicker on the windward slope then on the leeward slope. Many sand surfaces are rippled by winds of minor velocity. Prevailing wind direction was determined by a study of the "tails" of the wind-shadow dunes on the lee side of vegetation. Locally, climbing or falling dunes have been worked into unusual postures. 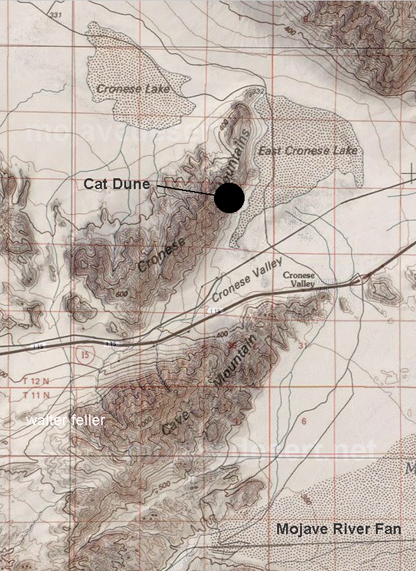 It is for a relatively large falling dune much resembling the outline of a cat that Cronese Mountain and Cronese Valley may have been named.